Summit Car Hire is an eminent car hiring organization in Cape Town. 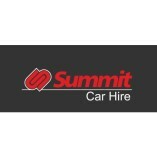 Summit Car Hire is a leading destination for vehicle hiring services. Their highly efficient staff members service the cars on a regular basis. They also provide roof racks, navigation units, baby chairs, and other accessories to their customers.